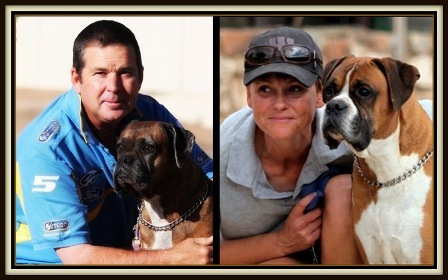 The love and dedication for the breed started in 1975 when my parents introduced a boxer into the family. It has now continued on with my children who have learnt that owning this beautiful breed is a commitment of a life time. We are a small country Kennel based along the Barrier Highway. We are 3 1/2 hours from Adelaide and 2 hours from Broken Hill. 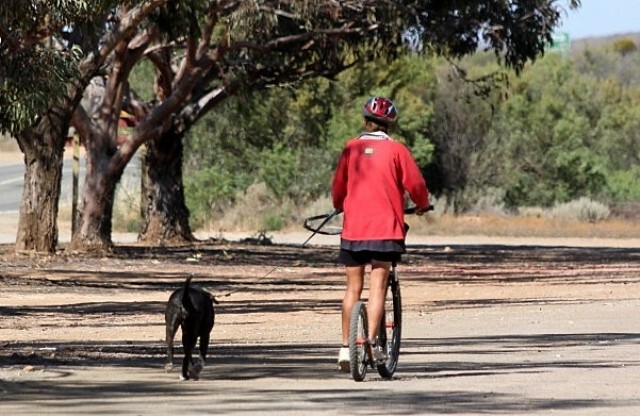 Yunta is situated next to the Barrier Rangers with it's rolling hills and wide-open spaces. The surrounding area is covered by different station leases with thousands of acres running sheep & cattle.  Lot's of photo's can be seen in Our Location page. All our dogs are lovingly raised as part of the family enjoying the comforts of our home. Sleeping on our bed's, lounge and enjoying the air conditioner during summer & wood heater during winter. We also have safe clean day yards if needed. 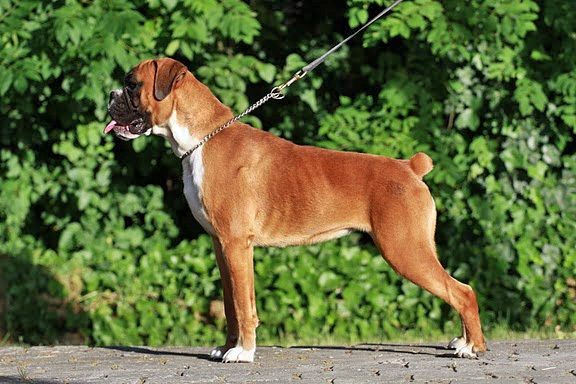 Having the unconditional love and devotion that the boxer breed offers and the endless funny antic's that comes with this breed has been a absolute joy to my family. 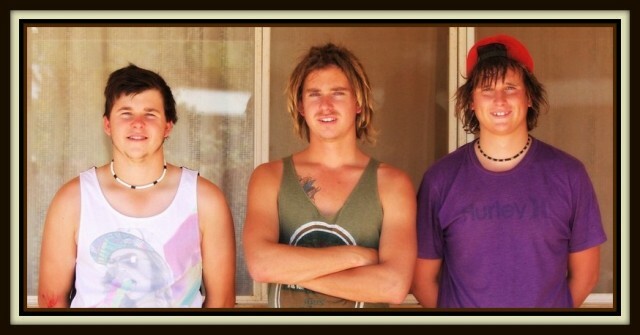 We have 3 lovely Boys, Daniel, Brett & Anthony (Twins). They are a great help with the dogs and also very talented in their chosen sporting fields for which we are very proud. 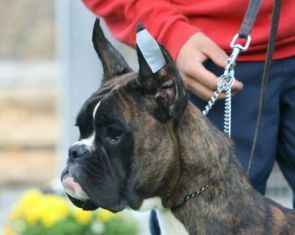 We have a real passion for the European Style Boxer and in 2007 we made the decision to follow our dream of introducing into our breeding program the Style of Boxer that we adore. One boy that we truely admire in Belgium is Atibox WorldChampion 2006 BRAHMS Van Sapho's Hoeve a beautiful boy from the "Sapho Kennel ". After a lengthy process in January 2009 we had the pleasure of welcoming our Two Spanish Imports -George De La Finca Sapho and Happy De La Finca Sapho both are Sired by Esteban Van Sapho's Hoeve. George is also a grandson of Atibox-Worldchampion Brahms Van Sapho's Hoeve. While Happy is a granddaughter of Zippo Del Trinitad. 3 established sires with a proven value for our breed. In March 2010 I made the journey to Europe (Belgium) to meet & spent time with George & Happy's Breeder and to see our new addition "Infanta de La Finca Sapho". Ingmar & Vicky welcomed me into their home & I had the pleasure to see some magnificent dogs and to meet the lovely members of the DTC club and see their beautiful dogs in training under the guidance of Ingmar. On the 17th September 2010 we welcomed "Infanta" home and this beautiful girl can now be seen on "Our Girls Page". Infanta has settled into our life style from day one and now is very much part of the family. (Van Sapho's Hoeve - Belgium ) for not only breeding such a lovely girl but taking on the lengthy process for her to be able to come to Australia to join George & Happy & the continued support that you have given us. Our dogs are our life and we look forward to our future and the big influence that George dlf Sapho has added to our breeding program. We are breeding with quality in mind not quanity. So we may only plan a Litter every 2 yrs. A lot of our Kriscross dogs are enjoying obedience, we are very pleased to hear all are enjoying the quality time with their owners. Every Kriscross dog that has entered the Show Ring has done us proud. I very much enjoy clicker training with my dogs, ensuring it's a fun rewarding time for them and I am very happy with the positive results that I am seeing. We now have our own Holter Monitor from the USA & our dogs will be yearly checked with results placed on their own profile pages. For us having our dogs in excellent condition and health checked regulary is very important no expense is spared in this area. All our dogs are thoroughly health tested before any breeding decisions are made. All Test results can be seen on our dogs individual pages. All our dogs display fun loving temperaments. 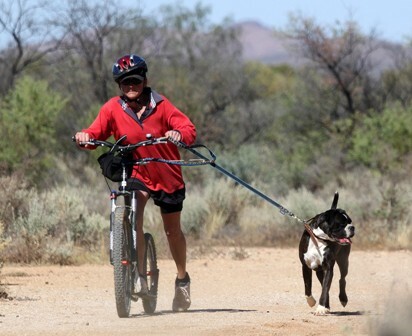 Our dogs are exercised out every day, during the winter they have the freedom to explore our lovely country side but during the warmer months when snakes are about we have to be careful that they stay on the tracks. 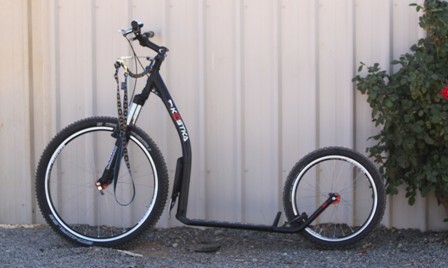 With the purchase of the Mushing Foot Scooter the dogs are now able to really run and stretch out while attached to the dog hitch at the side. I love it and so do the dogs ...... Highly Recommended !!
" 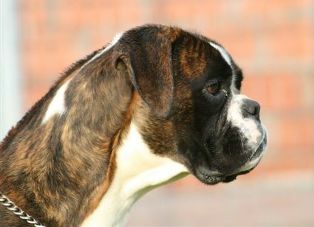 Our Home is our Dogs Home "
The future for Kriscross Boxers will be seen over the coming years with some very carefully selected planned matings based on Generations of Health Test Results. We are a friendly family based Kennel.